Citronella Essential Oil has an uplifting effect on the spirits and may help to relieve depression, fatigue and headaches. Its antiseptic action makes it useful for minor infections. Citronella Essential Oil has an uplifting effect on the spirits and may help to relieve depression, fatigue and headaches. Its antiseptic action makes it useful for minor infections. It is useful as an insect repellent, in body sprays, room sprays or applied in a massage oil. The deodorant and cooling action helps refresh the body and may assist with excess perspiration and oily skin. From the same family as lemongrass, citronella has a powerful lemony scent. 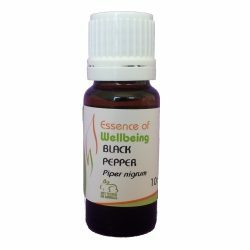 It has a history of use in many cultures for a range of conditions including fever, digestive and menstrual problems, but most commonly as an insect repellent. Cautions Generally non-toxic, but may cause dermatitis in some people. May be best avoided during pregnancy.